It is overwhelming and heartbreaking when the time comes. When you know in your heart that your beloved pet is no longer experiencing a good quality of life, and may indeed be suffering. The loss of a pet is devastating and saying goodbye is one of the most difficult decisions you will face. As animal lovers and pet owners ourselves, we wanted to offer some resources to help pet parents prepare and make that moment when you say goodbye as peaceful as possible for you and your cherished companion. Euthanasia can be done in the comfort and privacy of your home. 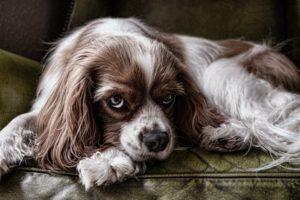 If your veterinarian doesn’t provide at-home euthanasia, consider the services of veterinarians who do, such as Dr. Kirsten MacKenzie of @Home Veterinary Services. She is dedicated to ensuring your furry family member can spend their last moments at home surrounded by those who love them, including other family pets. Her website also offers helpful information on how to determine when the time has come. We also believe that your deceased pet should be treated with dignity and respect. Based on personal experience, we highly recommend Pet Heaven Crematorium & Funeral Chapel. They are available 24/7, 365 days a year. Their services include immediate pickup from your home or veterinarian’s office and true private cremation, delivered with the utmost sensitivity and compassion. There are so many ways to cherish the memory of your faithful companion. Among them, Eternal Flame Glass Art Memorials by Rhonda Neufeld. She offers a range of beautiful and customized creations to keep your pet close in spirit.